This package is specifically designed for Samsung Galaxy S8+ ,Model SM-G955U from U.S. Cellular as we stated in our listing. There are many Samsung Galaxy S8 in the market, they all use different Screen Protector. 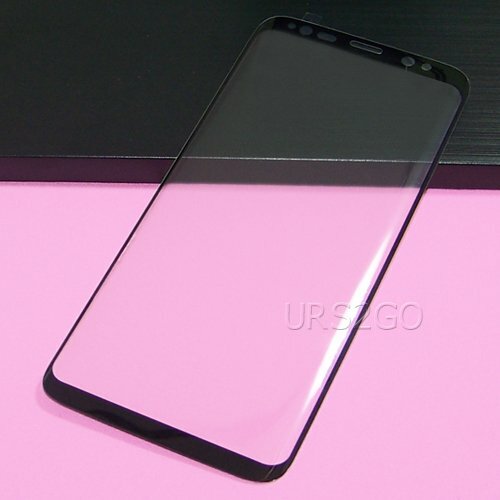 If you do not have Samsung Galaxy S8+ SM-G955U , this package is not for you. * Ultra thin, Tempered Glass, 0.5mm, 9H hardness, durable to use. * Impact resistant, explosion-proof and shatterproof advantages. * Protects sensitivity of Smartphone Effectively ,protect your cellphone screen from any potential damage. * Screen films cannot use adhesive glue, all the films in the market use static power to attach to the screen. * If anyone uses adhesive glue, leave residue on the screen, upon removing the film, you cannot clean it up. This ruins your cellphone. * The ultrathin soft explosion-proof design can reduce impact and protect phone's screen when your phone impacted by an external force. * If your phone was broken,the tempered glass will not shatter into sharp pieces,all the pieces will paste together and never flew in all directions. * For Samsung Galaxy S8+ SM-G955U Full Coverage Tempered Glass Screen Protector Film Accessory.